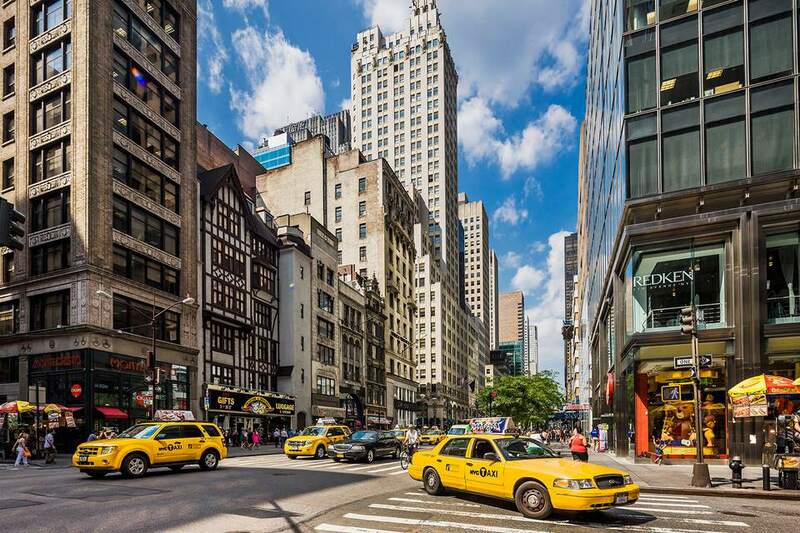 Few things are as fun as an indulgent and leisurely shopping trip on New York's Famous Fifth Avenue. However, it can also be incredibly daunting and overwhelming, particularly for first-time shoppers. So here is a list of some of the top shops to visit during your time in Manhattan. Shiny, sparkly baubles abound at the incredibly famous fine jewelry brand, Tiffany & Co. This flagship store is where the film Breakfast at Tiffany's was set. Known worldwide, despite this being their only location, Bergdorf Goodman is the premier shopping destination for all luxury items. Many celebrities have been quoted as saying "Scatter my ashes at Bergdorf's", and there is a documentary about the store of the same name. Looking for high-quality cultured pearls? Look no further than Mikimoto. Each beautiful piece reflects supreme dedication, passion, and care, and would make an excellent gift for a lovely lady in your life. Whether you're meeting with the staff at the Genius Bar or lusting after the new iPhone, a visit to The Apple Store is a must for tech lovers. The crème de la crème of leather handbags, this outpost of the French maison, Louis Vuitton will set you back a pretty penny for a purse, but, given the timeless style, you'll be able to wear it for years to come. The Italian brand Prada offers a wide variety of luxury items, from fashion to shoes and handbags, and everything in between. Clean, classic American style fashion in a beachy setting, Abercrombie & Fitch is a more affordable option on the avenue. Sadly, the popular shirtless model greeters have become a thing of the past. Searching for the perfect diamond engagement ring? Harry Winston is a favorite among the engaged elite and for good reason - their diamonds are top notch. Well made suits for the well-heeled set, Hugo Boss gained notoriety in the late 1990s after a mention on the Sopranos. A direct competitor of Bergdorf's, Henri Bendel is another ultra-luxury department store that you shouldn't miss. A bit of a strange name, Wempe sells jewelry and watches from popular high-end brands like Rolex. Chocoholics, this one is for you! The Swiss chocolatier Lindt makes high-quality sweet treats including their most popular Lindor truffles. Relax and say ahh at the Elizabeth Arden Red Door Spa. Offering facials, massages, and nail care services, a stop at the spa is a great way to recharge before more shopping. Bargain shoppers have known about the fast fashion shop Zara for years. For the uninitiated, the shop offers the best of what's hot now at low prices. Fall into the Gap. Another budget-friendly option, The Gap sells denim, t-shirts and other well-made wardrobe staples. Offering everything in men's and women's fashions, Gucci has gained more fame from their adorned sneaker collections. St. John is best known for their women's knit items, although accessories are also a large part of the brand. Stunning and incredibly well-made men's suits are sold by the top designer, Ermenegildo Zegna. Fun and flashy designs reign at Salvatore Ferragamo. Cartier is the destination for creative jewels. Look out for the crystal leopard that's overlooking the shop. This Italian fashion house was made famous by the deceased designer's sister and she is the current vice president of Versace. H Stern is a posh, Brazil-based jewelry company selling high-end pieces, including watches. More casual than the brand's signature pieces, A|X Armani Exchange offers both men's and women's fashion. Swedish brand H&M has trendy pieces for the budget yet style conscious. Accessories brand Cole Haan specialized is shoes, handbags, and other small leather goods. Naturally, given the name, this is a must for shoppers. Saks, as its better known, is still a luxury department store, but stocks items that are a bit more affordable than the merchandise at Bergdorf's. Whether you want to relive your childhood or share it with a youngster, the American Girl Place is more than a store with a restaurant, and theater that puts on live plays daily.